If you ever wondered how Colonial Americans made their furnishings, textiles, housewares and clothing, join us weekends this Fall for our Historic Trade Demonstrations. 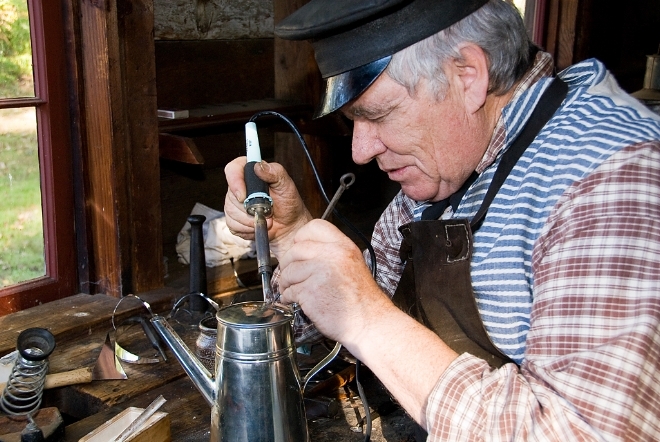 See live demonstrations of the traditional arts and trades that were an essential part of life in Colonial American settlements. Meet the makers themselves; skilled craftspeople who keep these traditions alive and continue to practice these fascinating, time-honored techniques. Come see what handmade is all about, and experience Yankee ingenuity at its very best! Saturday, September 29, 10:00 a.m. – 4:00 p.m.
Sunday, September 30, 10:00 a.m. – 4:00 p.m.
Saturday, October 6, 10:00 a.m. – 4:00 p.m.
Sunday, October 7, 10:00 a.m. – 4:00 p.m.
Saturday, October 13, 10:00 a.m. – 4:00 p.m.
Sunday, October 14, 10:00 a.m. – 4:00 p.m.
Saturday, October 20, 10:00 a.m. – 4:00 p.m.
Sunday, October 21, 10:00 a.m. – 4:00 p.m.
Saturday, October 27, 10:00 a.m. – 4:00 p.m.
Sunday, October 28, 10:00 a.m. – 4:00 p.m.
Friday, November 23, 10:00 a.m. – 4:00 p.m.
Saturday, November 24, 10:00 a.m. – 4:00 p.m. 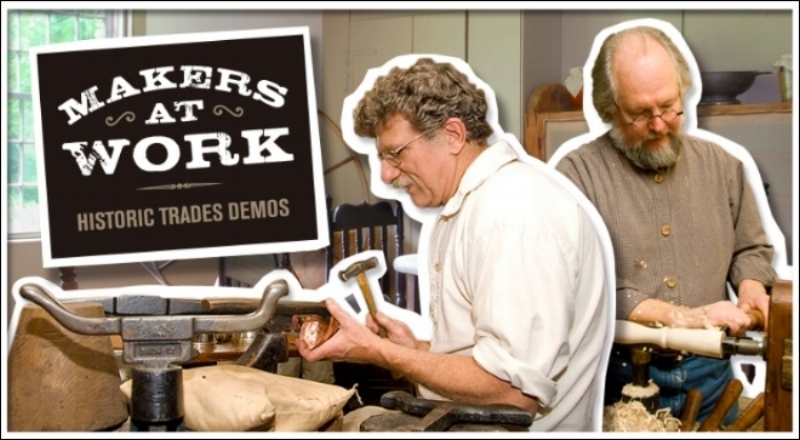 Historic Trade Demonstrations are included with paid admission. Tickets may be purchased at the Visitor Center at Hall Tavern, or at the Flynt Center of Early New England Life. General Admission includes house tours, walking tours, access to collections and any special programs scheduled during your visit.